Goethe University Frankfurt has a special collection of books in the field of interdisciplinary memory studies in its Bibliothekszentrum Geisteswissenschaften. The shelf mark range is HD 300.740 to HD 300.749. Click here for a list of the titles in the collection. Click here for a list of online resources available to users with a library account at Goethe University Frankfurt. Here is a short and a long select bibliography with relevant titles for anyone interested in memory studies. 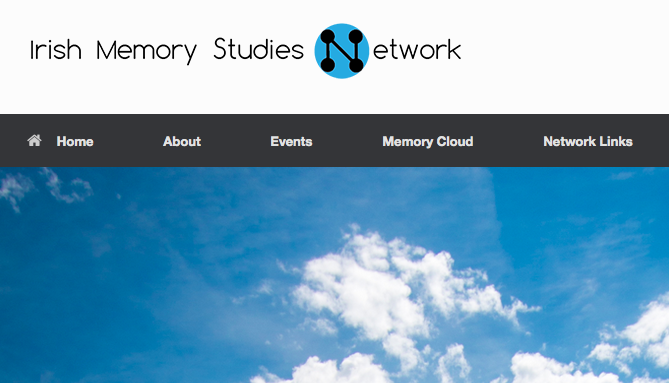 The Network in Transnational Memory Studies (NITMES) and Utrecht University present NITBITS, short videos in which leading scholars discuss key concepts of memory studies, from “cultural memory”, to “remediation”, to “travelling memory”. Talks by Aleida Assmann, Andrew Hoskins, Barbara Törnquist Plewa, Ann Rigney, Astrid Erll and Rosanne Kennedy are now online. The journal Testimony between history and memory has set up an online dictionary with the objective of gathering words from the fields of testimony and memory, following a multilinguistic, multicultural approach in defining the terms. Additions to the encyclopedia are published in new journal issues as well as on the website http://memories-testimony.com. Now online are entries by Astrid Erll on “Transcultural Memory”, Jessica Rapson on “Tourism and Memory”, and Ann Rigney on “Transnational Memory”. The Irish Memory Studies Network aims to open up a critical dialogue across multidisciplinary aspects of, and international contexts for, memory studies, with a view to generating discussion across disciplinary boundaries and laying the foundations for collaborative research work. These collaborations are made possible through lecture series, workshop events, and conferences. The majority of Network events have been recorded for podcasting and are now available online. A volume called The Twentieth Century in European Memory: Transcultural Mediation and Reception, edited by Tea Sindbæk Andersen (University of Copenhagen) and Barbara Törnquist-Plewa (Lund University), has just been published with Brill (2017). The book investigates contested and divisive memories of conflicts, world wars, dictatorship, genocide and mass killing. Focusing on the questions of transculturality and reception, the book looks at the ways in which such memories are being shared, debated and received by museum workers, artists, politicians and general audiences. An open-access digital version of the volume can be found here. The May 2017 issue (47.1) of the Irish University Review with the title Moving Memory: The Dynamics of the Past in Irish Culture features a roundtable with Stef Craps, Astrid Erll, Paula McFetridge, Ann Rigney and Dominic Thorpe (convened by Charlotte McIvor and Emilie Pine) that can be downloaded for free here. The Belgian-based eJournal Image & Narrative has just published a new issue with the title Audiovisual Memory and the (Re)Making of Europe, co-edited by Astrid Erll and Ann Rigney and featuring contributions by Sébastien Fevry, Silke Arnold-de Simine, Tea Sindbæk Andersen, Dagmar Brunow, and others. Image & Narrative is part of Open Humanities Press, so the articles can be accessed freely. You’ll find the edited issue by clicking here. Michael Rothberg is the leading Holocaust theorist in the United States and Saul Friedländer’s successor in the prestigious chair in Holocaust studies at UCLA. The pioneer of a post-colonial approach to the Shoah, he has, for example, explored the meaning of the Holocaust for the civil rights movement. His latest research addresses the role of the Holocaust in the lives of Europe’s migrants. What does the memory of the Shoah mean for Turkish-Germans? And what forms of solidarity could exist between Muslim and Jewish communities? 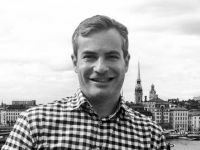 In conversation with Wien Museum director Matti Bunzl. Special section “Scales of Memory”, edited by Rosanne Kennedy and Maria Nugent, in the Australian Humanities Review, Issue 59, April/May 2016. Days and Memory, blog of the Initiative in Holocaust, Genocide, and Memory Studies, University of Illinois at Urbana-Champaign. Article “Museums of Europe: Tangles of Memory, Borders, and Race”, by Chiara de Cesari, published in the journal Museum Anthropology, 7 March 2017. Gute Frage: Was ist das kollektive Gedächtnis? A short article by Astrid Erll that answers the question “What is collective memory?” for the general reading public was published at spektrum.de in September 2016, and can be downloaded for free here. This text is available in German only.